The Valentine’s gift package includes a $200 per-stateroom credit at the ship’s Deep Nature Spa by Algotherm, a box of chocolates and a bottle of sparkling wine (total package valued at $250). This gift package is offered in addition to the line’s offer of 50 percent off standard all-inclusive cruise fares and included roundtrip airfare from Los Angeles or San Francisco. At the Deep Nature Spa by Algotherm aboard The Gauguin, expert therapists and aestheticians offer an extensive menu of massages, skin care, facials and authentic Polynesian treatments including Bora Bora Deep Blue Massages, Black Sand Body Scrubs and Monoï Tradition Massages by Hei Poa, among a variety of other signature therapies and tropical treats. The Gauguin is the perfect place to celebrate Valentine’s Day, a wedding, renewal of vows, anniversary—or simply each other. Couples can take in the beauty of the islands of French Polynesia from the privacy of their suite or stateroom, sway to the sounds of a chanteuse at La Palette Lounge, explore paradise on excursions by land and sea, dine al fresco under a starry sky and enjoy a Polynesian blessing ceremony performed by members of Les Gauguines and Les Gauguins—the ship’s own troupe of Polynesian entertainers. With one of the highest crew-to-guest ratios at sea, The Gauguin is renowned for the extra touches and attention to detail that make every occasion special. 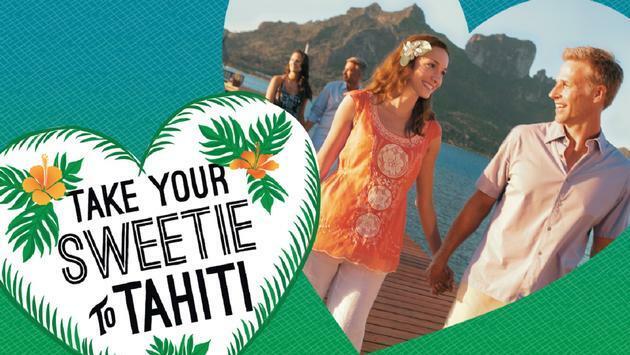 Paul Gauguin Cruises also offers wedding ceremony and renewal of vows packages that allow couples sailing on The Gauguin to celebrate their love in a romantic setting amid the turquoise lagoons and exotic islands of French Polynesia. (Wedding ceremonies are not legally binding). Choices include Motu Mahana, the cruise line’s private islet off the coast of Taha’a, and the luxurious InterContinental Bora Bora Resort & Thalasso Spa. Additionally, Paul Gauguin Cruises has a Gift Registry, where guests commemorating their honeymoon, anniversary or other milestone event can choose a “wish list” of gifts, ranging from shore excursions to spa options. Friends and family can visit the registry quickly and conveniently to select the gift (or gifts) they would like to give, and Paul Gauguin Cruises takes care of the rest. *One Valentine’s Day gift package per booking. New bookings made between January 28-February 16, 2019, only. Please refer to promotion code SWEETIE2019. Combinable with one other Shipboard Credit offer, but not combinable with Groups, Two-Week Sales and other select reduced-rate offers. Sparkling wine available on first night of sailing only. Offer expires February 16, 2019, and can be withdrawn at any time. Call for details. For rates or more information on Paul Gauguin Cruises, please contact a Travel Professional, call 800-848-6172 or visit www.pgcruises.com.